Social Media & The Academy | Where social media, career advice & higher education meet. Before you start thinking that I don’t like where I work, know that the point of this article is to talk about what it’s like to feel that you are in the “wrong job” while still enjoying what you do. Let me make it clear that I LOVE my job and the people that I work with. My goal after college & graduate school has never wavered (once I figured it out): to help college students achieve their true potential. My way of doing that is to make sure that students can easily find a job after graduation by working in collegiate career services. BUT, I watch videos, read blogs and research careers and what people should be doing with their career all the time. That made me start thinking…am I doing what I should be doing? Am I the A professional or B professional like the one you hear about in the below video? When I first started my career, I remember feeling like I wasn’t smart enough for my job because I felt different than all of the other Career Consultants Counselors around me. It wasn’t that I was treated differently or felt like I wasn’t good enough for the job, rather I wasn’t sure if I was good enough. I was told by my supervisors and co-workers that I was doing a good job, but I just couldn’t quite believe it. How could I believe it if I wasn’t sure what a “great” Career Consultant was? Is there one way how to do it or one standard? No, there isn’t one way how to be “good” because I didn’t factor in my personality. I may not be a “true” counselor in the sense that my master’s was not focused in counseling, but I help students ALL the time, in a different way. Different doesn’t mean bad if it achieves the same results, and it did. So why worry? I definitely wouldn’t feel the way I do today without the encouragement of my colleagues who “brought” me with them. I hope this story helps to inspire you to believe in yourself and remember how great YOU are at your job. Sometimes we have to look into ourselves from time to time and believe that we’ve got what it takes. After all, results don’t lie. The purpose of Twitter is to share pictures, links and information in 140 characters or less. Love it or hate it, it is an excellent way for you to get connected with people, including those hard to find employers who don’t like to publish their email addresses. Depending on who you follow, it can help you discover new information and build connections. Even if you don’t want to tweet, you can use Twitter to listen. It is used by many individuals to stay abreast of what is going on their industry, and it can be used by you to stay informed. Think of your 160 character Twitter bio as your purpose for being on Twitter. Consider including your full name, major, when you graduate and your future career goals. It is okay to include some of your hobbies, but if you plan on using this to interact with other Twitter users for career purposes, critically think about how you are presenting yourself through your bio. Student at the University of Georgia, Anthropology major, Soccer player, & VP of DZ. Seeking an internship in a museum or national park. A good place to start is to identify Twitter users that put out useful career-related content. Visit www.twellow.com or www.wefollow.com and look for industry leaders in careers you are considering. Type a few different terms into the search bar like “career information” or “[industry] careers” and follow users that share information about their industry. You can also follow general career advice accounts, like Heather Huhman’s shown below. @username How did you break into your career? Any advice for a current UGA student? Before asking a question like the one above, build the relationship by commenting on the Twitter users posts or sharing information you think would be relevant to them. Another way to explore careers is to read job postings listed on Twitter. There are some companies that have accounts dedicated to solely posting jobs. In addition, you can type in “[industry] jobs” and look to see if there is an account that posts positions in that field. Lillian is a sophomore Advertising major at UGA. She wasn’t sure what she wanted to do after she graduated, so she set out to identify UGA alumni who were advertising majors on Twitter and follow them. After commenting on a few of their posts, she reached out directly to ask for advice. Though some alumni did not get back to her, she had a few that told her to direct message her email and phone number to connect for an informational interview. After a few of these conversations, she was able to get a better sense understanding of the various career paths in advertising and what would be the best fit for her. Do you want to know the number one way UGA students find employment? Year after year, networking is at the top of the list. The goal of networking should be to build reciprocal relationships in which both parties benefit. It isn’t something only the well-connected can do. Twitter and social media can be used to create a network and manage your built-in networks that consist of friends, family professors, and anyone that you meet. Identify users that have something in common with you: UGA, hobbies, extracurricular involvement or industry interests. Create “lists” to keep your Twitter followers organized. Share relevant industry news and information with your followers. Comment on what others post to help you build a relationship. Follow accounts that tweet job listings. 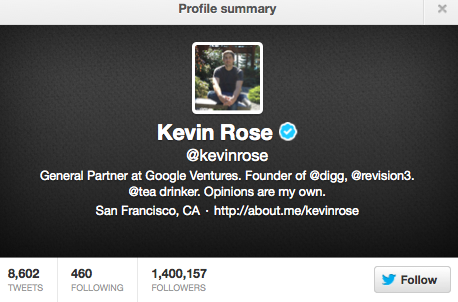 Keep your Twitter profile public so that others can follow and interact with you. Don’t forget that everyone can see what you post. Think before you tweet. Do share relevant information relevant to your career goals. Don’t over tweet. Your followers will stop following you if you post too often. Know that you don’t have to tweet often, but if you do, you are more likely to have people reply to your posts and want to follow you. Build your network before you need it. Don’t be “that guy” who only contacts people when they want something. It’s ok to post things outside of your future career interests, but don’t overdo it. Think of your Twitter profile as a billboard. If you wouldn’t want your tweet plastered on a sign by the highway, don’t post it. Follow hashtags and engage in chats. You have to give to get. Comment on what others post if you want to get noticed. @companyname I just applied for the ______ position with your company. I would love to work there and would be glad to answer any questions if you have any. @recruiter Thanks for sharing that article! I am interested in breaking into that industry and found it helpful. Lydia May is a 2nd year student at UGA and is considering a career in either Journalism or Advertising. She used Twellow and WeFollow to identify Twitter users to follow that tweeted about her careers of interests and then took it a step further by looking at what Twitter accounts these top accounts followed. Eventually, it became hard to keep up with all the people she was following, so Lydia created an Advertising Twitter List and a Journalism Twitter list to help her keep her information organized. 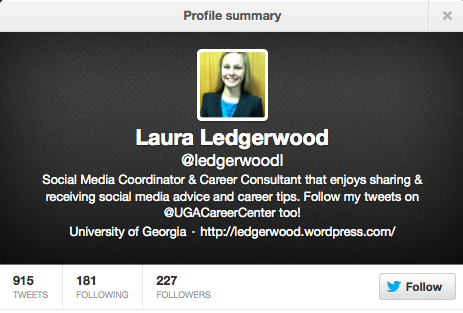 By following these industry leaders, she identified accounts that tweeted jobs of interest to her. She also was able to get advice from employees working at companies she is considering applying to for internships by asking when she should start applying and where she should look. Doing this helped her make sure she didn’t miss important application deadlines and it even gave her a leg up on her competition. Because she had established these industry relationships early, her name was passed along directly to the hiring manager and ultimately got hired. Heather Tranen is spot on with this blog. Read this if you plan on tweeting during an upcoming professional conference! 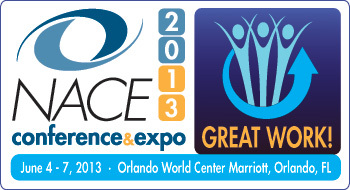 Best Practices for Live Tweeting at #NACE13. 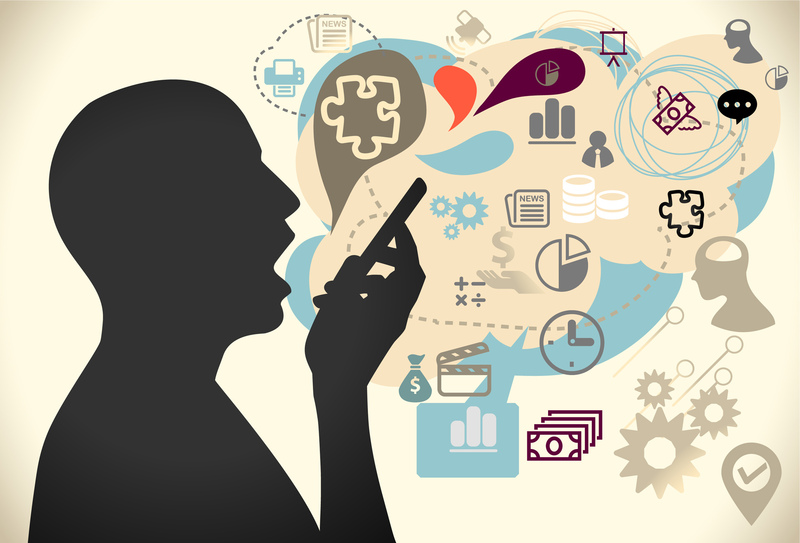 I think one of the hardest parts of social media for professional or business use is determining your “voice.” What do I mean by voice? I’m talking about the feeling you give to your readers about who you are and what you (or your business) represent. It’s your personality. Your “it” factor. It’s what makes you different that anyone else posting about the same topic. I’ve struggled with this personally myself. I currently coordinate the UGA Career Center’s Twitter, Facebook & Pinterest accounts and figuring out my voice on those accounts versus my personal/professional Twitter & Facebook accounts has been difficult. Being in a field where teaching professionalism is your job also makes it hard. Personally, I love entertainment news and following humorous accounts on Twitter and Facebook, but is it appropriate for the Career Center? Is it appropriate for any “serious” business to delve into pop culture and try to sound that way? I’m still on the fence. On one hand, you don’t want to step too far to where you start losing credibility. On the other, you run the risk of being to stiff or boring. The key thing you need to ask yourself is who’s listening to me and who is most likely to interact with me on social media? The answer may be different depending on the site. The companies that I find to be most successful answer questions directed towards their accounts quickly and politely. If their focus isn’t creating conversation with consumers, you either need to be funny or informative with a dash of random. The dash of random is what humanizes you and your business. It may sound silly, but without it you lose something. Businesses are trying so hard to figure out a way to monetize social media and by doing so they miss the point of why social media was created: to create real relationships. Many of us choose our friends because we have something in common with them and they let us in. They let us see both the good and bad aspects of their personalities. Do I think businesses should expose the bad parts of themselves? No, not necessarily. However, if all you’re doing is posting information that can be found directly on your website or Googled, you’ve missed the point and even if you have a lot of followers, you don’t have an audience. You’re a part of the noise. I recently met with a client who wanted to ramp up her recruiting efforts with college students using social media, and one area of particular focus was recruiting on Facebook. Most tend to think of using Facebook fan pages to recruit students, but I recently heard of one company doing something rather innovative using Facebook groups that I thought I’d share. What stood out to me most about this page is not that it’s bad, but that it wasn’t very conversational due to the nature of how Facebook pages are set up. Only in the tiny box titled “Recent posts by others” can you see what others post, which limits how conversational one can be using pages. There are quite a few good things you can do with groups that are different than pages. 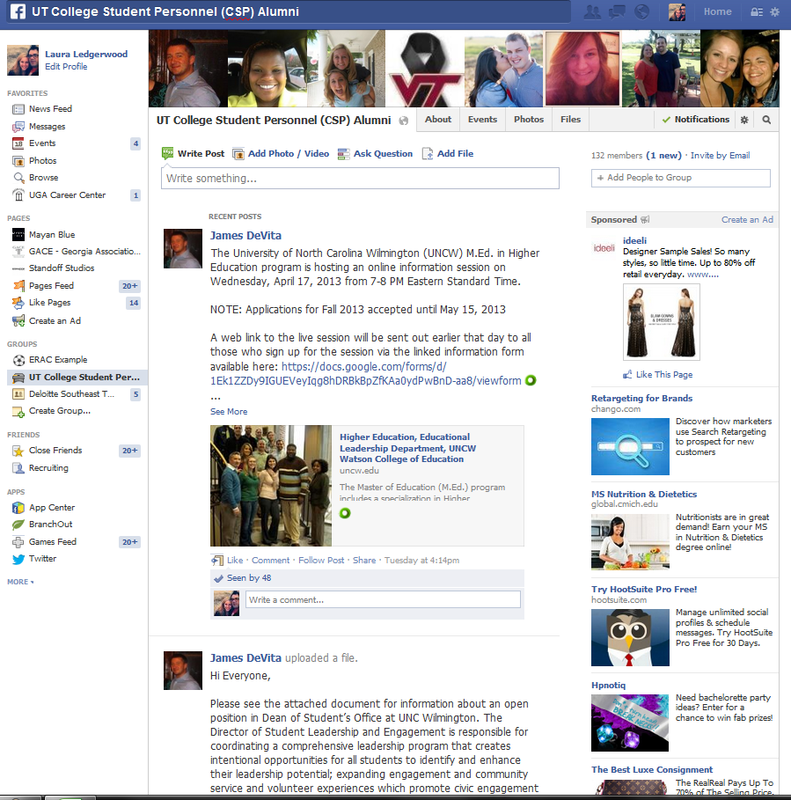 First, anyone that’s a part of the group can post into the main feed, which makes it more conversational. You also have the ability to upload documents (think job descriptions or other promotional materials) and have live group chats. 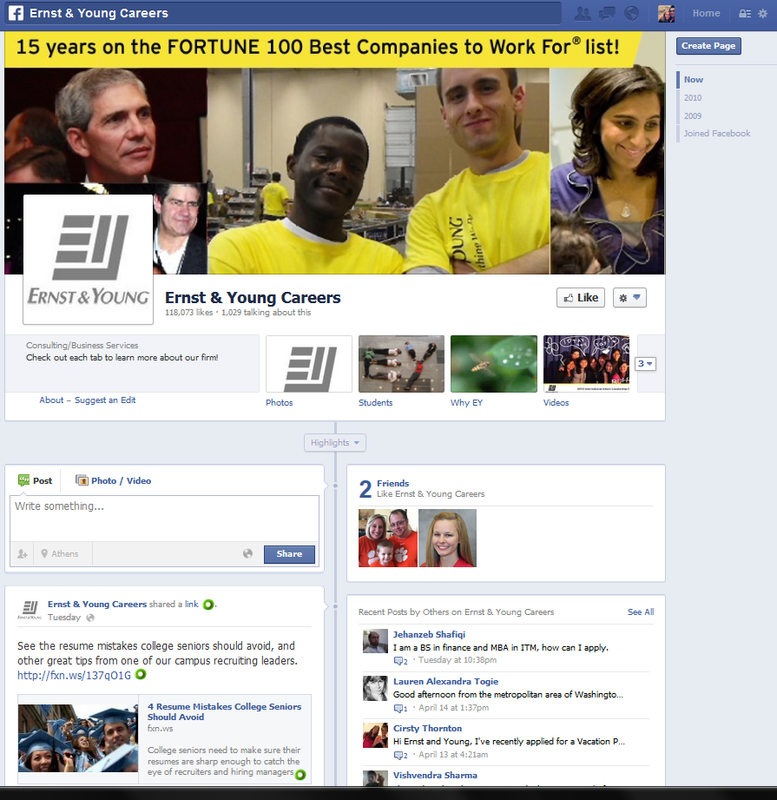 Like Facebook Pages, you also have the ability to post events. The recruiter that I met who chose to go with a Facebook Group vs. a Facebook Page used it as a way to cultivate talent early by connecting with Freshmen and Sophomore level students and inviting them to be a part of his closed (think exclusive) group. It was a way for top students to stay in touch with this particular recruiter as well as stay informed about every time he would be on campus. The amount of interaction that he saw in his group really astonished me, which opened my eyes to the viability of using Facebook groups vs. pages. The main downside of a group vs. a page is that doesn’t have the same html capabilities as pages and it doesn’t allow you to create customized tabs. Depending on your recruiting goals, one may be more appropriate than another. Do you use Facebook groups or pages to recruit? If so, which one and why? Remember the purpose of the interview: it’s to get a job. Always keep in mind that even though “tell me about yourself” is broad, the underlying reason why employers ask that is because they want you to tell them something RELEVANT and related to the job about yourself. Give a brief introduction (Name, major, graduation date). Bring up skills, knowledge, experience, projects or leadership/involvement related to the job. End with a summary statement that links your examples to the job to which you are applying. Very insightful and well written. According to my television, it finally seems okay to be “weird” and a woman in entertainment. Amy Poehler earned writing credits for arguably the smartest, most poignant, and best episode from last season’s run of “Parks and Recreation” (“The Debate”). Think of “comedy,” and these women or the shows they write come to mind almost instantly. They create or portray strange, relatable characters. But where were they before their ascent into fame? My students are amazing! Check out this great promo video for an event we have coming up. For those that are on Twitter, I don’t need to explain the value: it keeps you up-to-date on who you follow, informs popular news & is less cluttered than other social media sites. 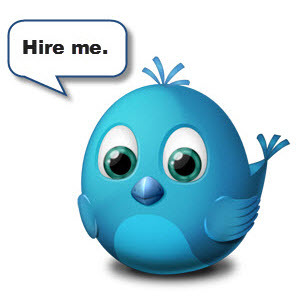 For those that don’t use Twitter, it’s a harder sell to use it period, let alone to job search. Why use it instead of Facebook or LinkedIn (or in addition)? Do employers really use it to hire people? The key point is that not many job seekers ARE using it to job search. In this age of information-inundation, it’s important to do things that are different increase your chances of being noticed by hiring managers, many of whom receive hundreds of emails a day. If they are on Twitter, they will likely receive less tweets directed to them than emails, so why not use it? Google it! If you don’t know if a recruiter uses Twitter, Google “the employer name + Twitter”. 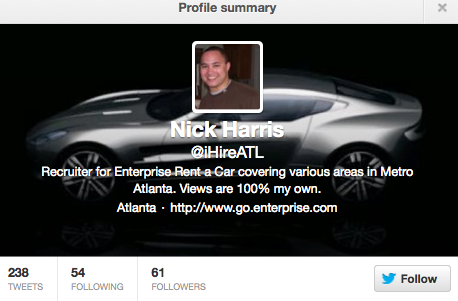 You can also search employer name + recruiter + Twitter” to see who pops up. If anyone shows up in your results, their Twitter account was MADE for you. They want you to contact them! They wouldn’t identify themselves as an HR representative if they didn’t want you to reach out to them. To get you have to give. Comment on other people’s tweets. Retweet their posts. Ask appropriate questions and mention others (@Twitterusername) to get the conversation started. Be the expert in the world that you wish to see–share professional articles, videos or general tips. All of this will help you to get noticed. If you aren’t sure what you’re supposed to say or do, sit back and watch for a few days before joining in the conversation. You can learn a lot by observing. Just do it. There is no RIGHT way how to tweet. Try not to over analyze whether or not you’re using Twitter correctly because everyone uses it differently. The most important thing for you to do is to join the conversation and put yourself out there. There are a lot of worse things in life than being ignored or rejected. Namely, missing out on a great opportunity. The question to ask yourself is what will I lose by NOT trying?? Steve McCurry has great advice and tips that can apply to your blog. The stunning pictures are a bonus! Happy face. Steve McCurry, a professional photographer and author of several photography books, shares his reasons for why he blogs on WordPress.com. His iconic photo, Afghan Girl, graced the cover of National Geographic and was named one of the 100 Best Pictures of the magazine. McCurry has been recognized with some of the most prestigious awards in the industry, including the Robert Capa Gold Medal, National Press Photographers Award, and an unprecedented four first prize awards from the World Press Photo contest, to name a few. You are a world-famous photographer. Why do you blog?